Set in the thick of the NATO bombing and the forced expulsion from Prishtina, The Basement is a family drama in which every inclination and every snap reaction can have an unbearable effect. The Finger draws its impetus from a vacuum, from a family bereft, and the implacable dynamics between two women. In it, a disappearance calls for – and exacts – rituals in the gap between life and death. In the monodrama, Slaying the Mosquito, exile carries with it all the derangement of the war, enacted in the person of the poet-madman-shaman, a tormented spirit caught between diverse worlds. The eponymous One Flew over the Kosovo Theater is an uproarious lampoon. Set in the days approaching the independence of Kosovo, it takes aim at the new government and their yen for censorship and the appropriation of the arts. Recapitulating the occupation and conflict, The Crossroads Café is a sweeping farce with a full cast of characters, including the Serbian Police and guerrilla fighters, together with an Everyman trapped in the machinations. 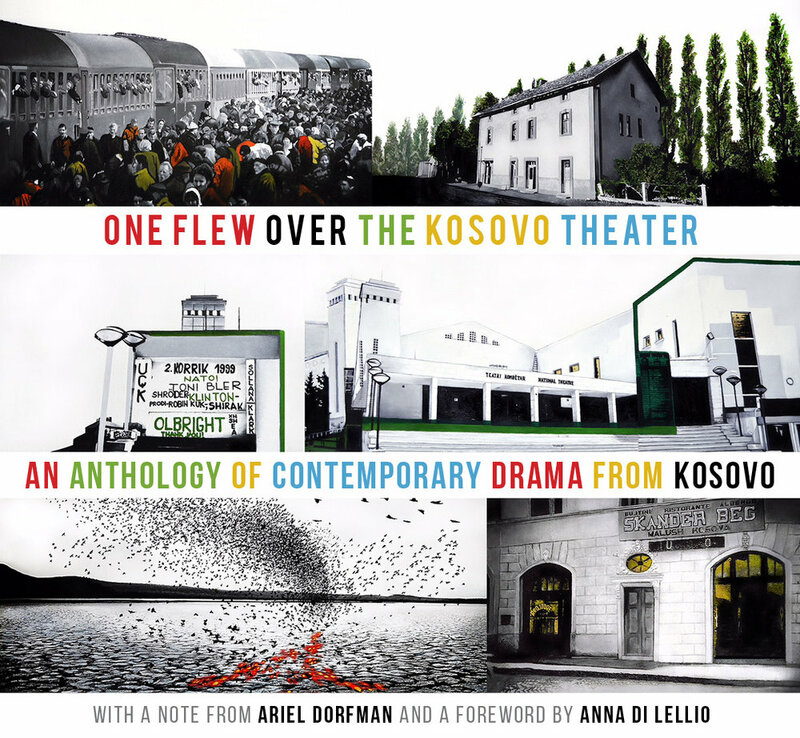 One Flew over the Kosovo Theater is more than a collection of plays. It is something that verges on a saga. In 2010 at the Leipzig Book Fair, at an evening reading program called Balkan Night, the Serbian writer Saša Ilić listened as Jeton Neziraj from Kosovo read a short story. “I have to meet that man,” he thought, “I have to speak to him tonight.” It was his turn next at the podium, so he read to the end of his piece and then rushed out to look for Neziraj. He found him just beyond the hall. “We can do something together that will really matter,” he said, and he explained what he had in mind. “At this late date?” Neziraj asked. But something in the person of Ilić was convincing. In the next two years, they edited two short story collections, From Prishtina With Love, translated into Serbian, and From Belgrade With Love, translated into Albanian. The present volume was their third literary reconciliation project. It was published in 2014 in Belgrade. Saša Ilić is a writer, journalist, and social activist. He has published two short story collections and two novels. Ilić was a founder and editor of Beton, a supplement for literary engagement, in Danas, a Belgrade newspaper. He is one of the organizers, along with Jeton Neziraj, of POLIP – International Literature Festival, which takes place every year in Prishtina. Jeton Neziraj has written more than 25 plays which have been widely translated and performed internationally. He is the former artistic director of The National Theater of Kosovo, and the current director and founder of Qendra Multimedia, an independent theater company in Kosovo. Theater serves as a memory machine. How else will future generations know what really happened in Kosovo in the throes of a devastating war? Every play in this anthology stands out like wood that once grew around barbed wire fences — with the trunk already gone, just the intertwined piece remaining, cut off from the tree of life, hanging in the wire, against the sky. These plays are at once terrifying, beautiful, and deeply ironic. The playwrights illuminate the fears and suffering of ethnic Albanians at the same time as they interrogate, with love and rage, the patriarchal-heroic myths that unified a people under siege and drove them, in interpersonal ways, to betray themselves. This book is a great gift of dramatic literature. It has relevance far beyond the Balkans. For most Americans, indeed for most people interested in recent world events, the name Kosovo suggests only the bitter conflict in that section of the former Yugoslavia during the bitter Balkan Wars at the end of the twentieth century. Few have any idea of what life in this country is actually like or how it has been affected by this bloody conflict. The present volume, containing five plays created over the decade of the war and its aftermath, provides, as only theater can do, a fascinating and nuanced collection of insights into the lives, the aspirations, and the negotiations with the past, present, and future of the inhabitants of this little-known corner of Europe. Our understanding of this region and its people, and of the now widespread problem of dealing with modern warfare and its aftermath, will both be significantly enriched by this important collection. Because artists carry multiple truths, different and conflicting, they become authentic mirrors of audiences, reflecting what survivors and communities are struggling with. They are their audiences in unsteady peace accords, unresolved “reconciliation,” and denial of memory to the next generation. Their finely tuned instrument makes theater artists — playwrights and their ensembles — perfect investigators of the human condition in all of its complexity and chaos. Just so, this searching anthology from Kosovo unpeels not absolute truth, but layers of truth that need to be recognized before they can be reconciled.